Stevi Buskirk is the manager of Box Butte Public Employees FCU in Alliance, Nebraska. Stevi has been the manager for over five years now and is passionate about the Credit Union movement; She has been a CU member her whole life and is excited to serve on the YPCU board. 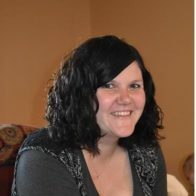 Stevi enjoys spending time with her husband a two children, their families and friends. We strengthen and engage young credit union professionals.